Skunkboy Blog: Workin' Hard or Hardly Workin'? The answer to that question would be a very big, "Workin' hard!" Though I don't have much stock built because I've been working on lots of custom orders, here's what I have built for Renegade so far. There are actually a couple more pieces... wall hangings to be exact. For some reason it didn't cross my mind to photograph them until now. Anyway, I love doing updated pictures like this and watching the numbers grow. They go from a small family to a very large one! Jules, I can't wait to see your pictures! Jules is a lucky duck. 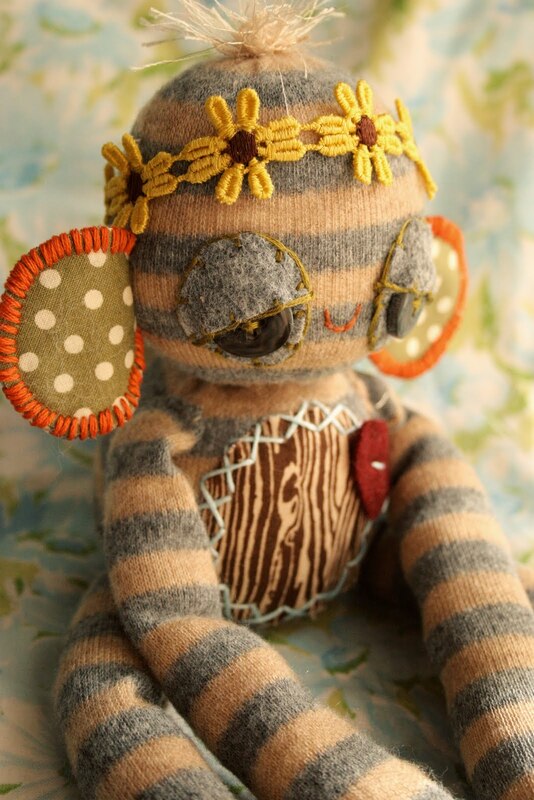 She got the last monkey from my last bit of found fabric for this guy. Until I find fabric that I find suitable, there will be no more monkeys. you're like a little machine of cute! Katie your work is divine. There is nothing else quite like it. When I have children - I am coming to you. I definitely want to see what you would do with a firefly. holy heck i love them all. just realized you are from camdenton, mo. i'm originally from rolla...my best friend lives in camdenton. crazy small world. So cute. You do really nice work. I want to buy a fawn eventually. He is so sweet. Holy crap!!! I am in love with the last one. Amazing!! ah i love these. i want!!!! This little family is *gorgeous*! They are so cute!! goodness! what a delightful little family, they are all so charming and each have their own personality. adorable. can't wait to see more of your lovely creations. I love your work and your fabrics. Where do you find such awesome fabric? okay so when the day come that I have a little one growing in my belly.. I will need me one of those monkeys. it's love. How cute!! I still love the owls! i cant believe I'm not going this year, for shame on me. Oh! 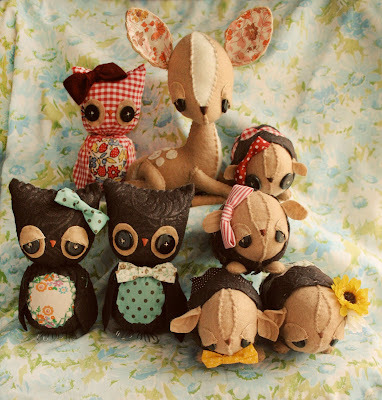 I am so glad you are going to put the fawn out for sale on etsy! I looove it, I hope to catch one:) I already got one of the deer christmas ornaments, and its my favourite on the christmas tree <3 hope you are well, enjoy your time of. wow...they are all so adorable!! OH MY GOOOOOOOOOOOOOOOOOOOOOOOOOD I'm in LOVE!!!!!!!!!!!! 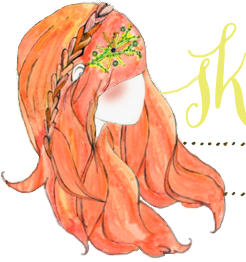 I'm totally visiting ur etsy shop to see more!!!!!! I make puppies myself, and urs are adorable!!! Girl, I'm really intersted in a BAMBI like in the pic, I LOVE IT!!!! Do u take orders?? How much for it?? Maybe u'r even interested in a trade, I do a lot of trades, and like I wrote u, I sew too. looking forward to hear from u!! i just stumbled upon these- so cute! now i need to go search your blog for where to buy them for my nursery! !